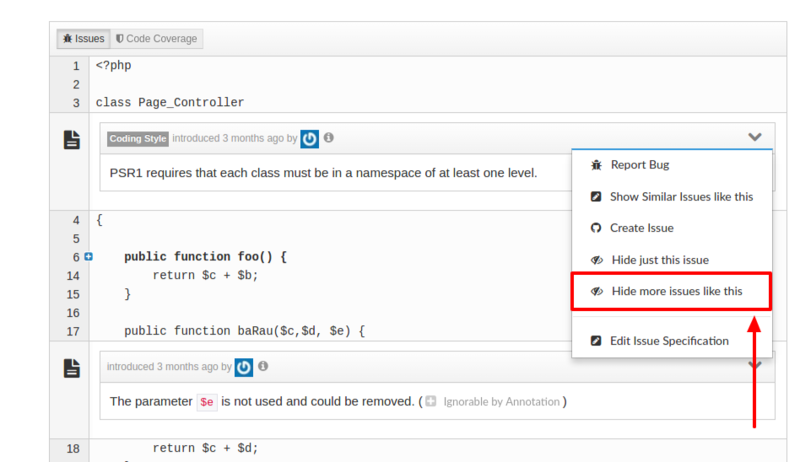 Scrutinizer provides a sophisticated system for filtering issues that do not make sense in your context, or are simply false-positives. 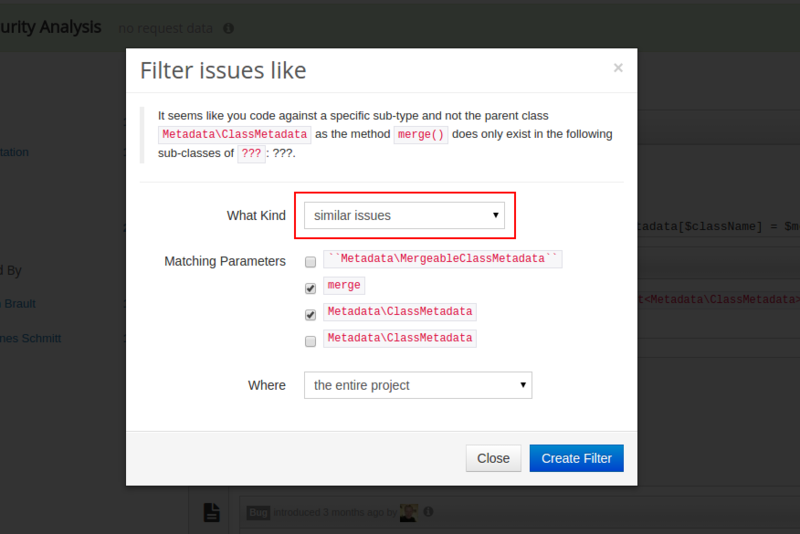 Scrutinizer also allows you to filter similar issues to the one found. 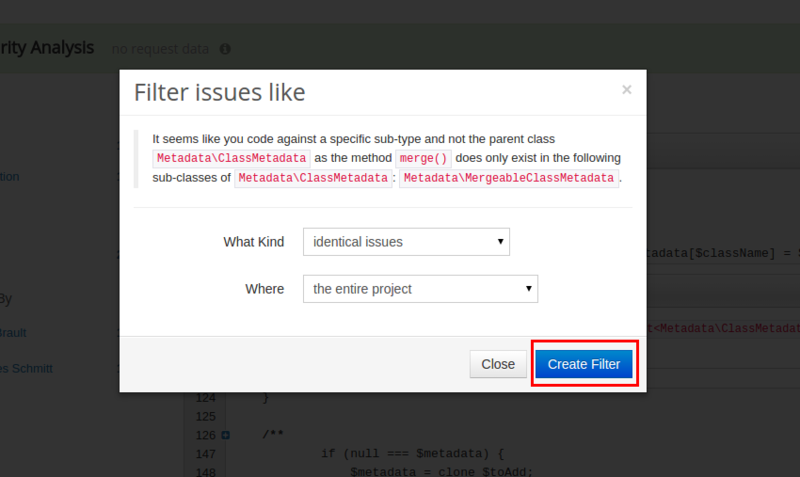 Simply select which parameters should be included when applying the filter. If you select no parameters, all instances of the same issue type will removed regardless of the context.